Beneath the blue waters 100m off the coast of Noli in northwest Italy lies a cluster of balloon-like pods pegged to the seabed by ropes half a dozen or so meters long. Inside, a range of produce is being grown, including red cabbage, lettuce, beans, basil, and strawberries. 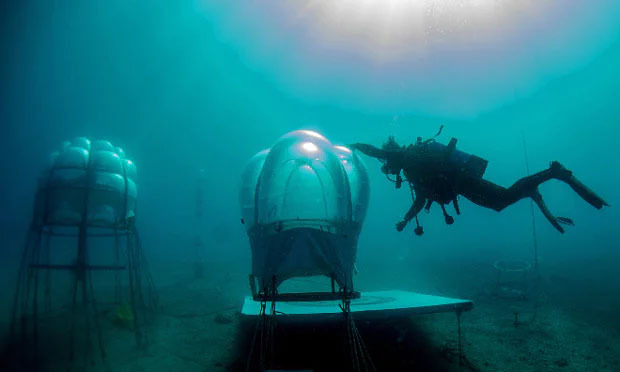 The research project, known as Nemo’s Garden, began in 2012 and currently consists of seven pods – biospheres – each of which can hold around 8-10 trays or 22 plant pots. Having improved the design of the pods over time following episodes of rot and flooding, the company is ready to scale up its testing with the ultimate aim of commercializing its operations. Unlike underground hydroponic systems and greenhouses, which rely on various heating and cooling systems and LED lights to regulate the temperature, submersion in seawater offers a stable temperature while avoiding exposure to extreme weather conditions on land. When it comes to sunlight, studies have shown that a majority of plants – although not seaweed – are dependent on the red spectrum in light for physiological development; the red can filter out at depths of around five to 15m. To address this, the pods are submerged five to eight metres below the surface; they could potentially go deeper but more data is needed to work out the viability of this. Qualified divers are required to maintain and operate the pods. 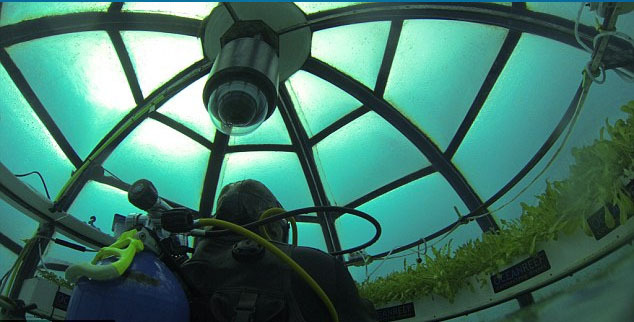 Luca Gamberini, whose family has been running the Ocean Reef Group for six decades, acknowledges this is a sticking point, but firmly believes underwater farming can be more than just a plaything for growing high-value, niche crops. Although the cultivation of Nemo’s Garden is yet to reach commercial scale, the aim of the project is to see whether that is a viable prospect and to plant more varieties of crops in the process, something that Gamberini believes is technically possible. 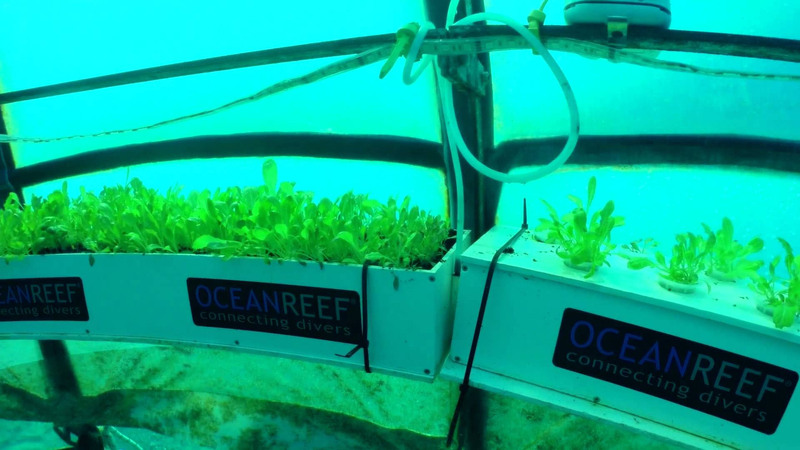 Tests carried out by Ocean Reef Group suggest that crops underwater grow faster than their counterparts, according to the company. Gamberini acknowledges that some people may not buy into the idea of underwater farming, but believes it has the potential to work harmoniously with other food production methods. Despite his optimism, however, he remains cautious about its long-term potential. Secret Underground Swimming Hole… Devils Den!